Is there something in the current governance practices at Raisina Hill that puts it at odds with regulatory institutions? Before you jump to conclusions, sample these two contrasting pictures. After several years of yes and noes, the government has cleared the legislation and set up the Insolvency and Bankruptcy Board of India. The full process has gone through within a year and the board is awash with big-ticket bankruptcy cases, leading to freeing up of capital at a pace never attempted in India. It is a massive exercise in building up an institution. Contrast this with the way the government rapidly unwound the Planning Commission within the first few months of coming into power. Prime Minister Narendra Modi’s first Independence Day speech where he announced that the Commission’s days were over was a signal that he would not hold on to institutions, unless he was convinced that it served its purpose. Niti Aayog, a new institution with a new mandate was born in January 2015. An almost forgotten incident serves to illustrate how this played out in the government subsequently. Stand-offs became all too common to vent out differences among departments. In July 2016, income tax officials, seemingly hard pressed by the government, surprised the finance ministry when they publicly questioned their own boss, Revenue Secretary Hasmukh Adhia. 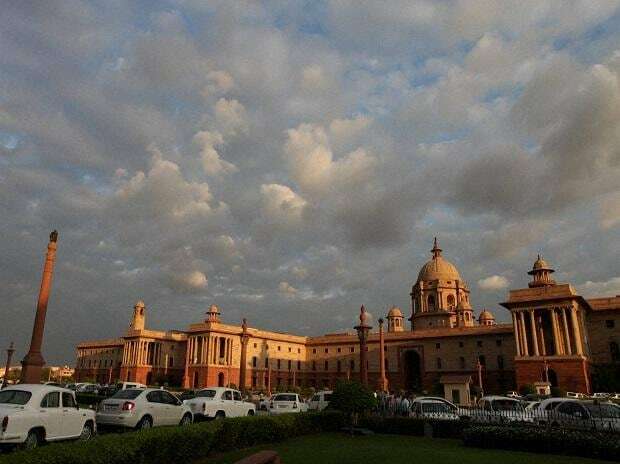 The income tax officers association not only approved a resolution that questioned the directives and functioning of the department of revenue in the central government, they also sought abolition of the post of revenue secretary. The provocation? Adhia had sent a letter to the chairman of the Central Board of Direct Taxes complaining that the field officers of the department had slipped up. “First of all, the CBDT requested for reduction of budget estimate target which was done. In spite of that, it now appears to me that revised estimate target may also not be achieved. If this happens, board and field functionaries would have to explain why it happened,” he wrote in the letter. Finance Minister Arun Jaitley immediately rapped them. In a statement issued the very next day, the ministry said the officers’ conduct was “an act of insubordination. Officers indulging in acts of indiscipline would be subject to conduct rules”. One could say an assembly of tax officers does not constitute an institution, but the rules of conduct between them and the department of revenue are supposed to be institutionalised. This snapped in the fracas. The headlines subsided but the tensions didn’t for a long time. Just like the current stand-off between the finance ministry and the Reserve Bank of India (RBI) where tensions still simmer despite a statement by Jaitley where he pointed that the government “respects” and “accepts” the autonomy of the RBI. “Both the government and the central bank, in their functioning, have to be guided by public interest and the requirements of the Indian economy”. It brings up the question of whether the current National Democratic Alliance government has been more at odds with institutions than other governments. There is no doubt that there have been more run-ins. While the RBI and the Central Bureau of Investigation (CBI) cases have drawn attention, there have been others, less publicised. For instance, an over looked area of difference is with the Competition Commission of India (CCI). The Union cabinet in April 2018 approved what it called “rightsizing” the CCI from a seven-member body to a four-member body. It was followed by an order to review the Competition Act. The competition regime in India is just about nine years old and is still to find its feet on solid ground. So, even though there are reasons for the review and the slimming down of CCI, it has made the regulator circumspect. The cabinet note clearly said a smaller body would lead to “faster turnaround in hearings…result in speedier approvals, thereby stimulating the business processes of companies and resulting in greater employment opportunities in the country.” The commission has not been known to delay its orders either for mergers and acquisitions or for busting anti-competitive behaviour. In fact, the CCI, without a regular chairman for quite some time, is holding roadshows to convince business about its role. As the clock begins to wound down for general elections, it is time then to examine why some of the differences between the government and the regulatory institutions occurred, especially in the economic space. One of the key reasons is that this government has set itself an ambitious agenda for the economy within the five-year spell, which has left little time to contemplate alternative choices. Simultaneously, given the slim officer strength at the higher level of bureaucracy, this put enormous pressure on them to “deliver”. A telling example is the controversy over the Land Acquisition, Relief and Rehabilitation Act , 2013. The government was plainly uncomfortable with the restrictions placed by the Act and wanted to amend those. But it did not have a majority in the Rajya Sabha to pass the amendments. It used an opportunity provided by a set of notifications required to be tabled in Parliament to push through some more material changes. The concerned officers had advised the government against doing so, but given the lack of inputs from other agencies, the plan for an amendment was given the go ahead. Overall, the incident possibly led to an understanding in the political executive that without pushing at the regulatory regime, it would not be able to achieve what it intends to do. To some extent, this is a genuine concern and a new challenge for framing public policy in India. Before one blames the government, one must also examine the often dubious role played by the regulatory bodies. Of them, none has been more infamous than the tribunals. They were conceived as a fast track judicial apparatus to unclog the courts and provide reasoned judgments in issues of economic interest, but have been utter failures. The pendency in tax tribunals like Customs Excise and Service Tax Appellate Tribunal is over a couple of years and those in debt recovery tribunals, where bank cases are decided, run over five years. The government, justifiably, moved to merge several of them to bring in efficiencies. The grouse is that not enough has been done to make them work faster. Partly as a result of the reorganisation, their settlement rate has improved. Continuing in the same vein last week, the cabinet has allowed regional directors in the ministry of corporate affairs to take over cases involving corporate law which are compoundable. This would free up the time with the National Company Law Tribunal to deal with bankruptcy cases. There have been notable victories in other spheres too. One of them is the conduct of the monetary policy and the institutionalisation of a hard budget constraint. The setting up of the six-member monetary policy committee of the RBI that targets inflation has been a welcome addition to the institutional structure of India’s policy making The results are visible for the economy; the first oil shock ever where inflation has not hurt the poor. Despite tensions, the direction of monetary policy has not changed. But other changes would not earn kudos. The finance ministry decided to pass the so-called Aadhaar Act as a Money Bill through the Lok Sabha. This was questioned by a large number of legal experts as an attack on the convention of Money Bill. But the judgment by the Constitution bench headed by chief justice Deepak Mishra has upheld the passage. The government was clear that if the defined benefit transfer for public schemes was to work, Aadhaar had to secure a legislative sanction and so the Money Bill tag justified the end, even though not everyone agreed. By setting a precedent like this the government has opened the possibility of other inconvenient bills to pass through Parliament without legislative scrutiny. At the level of states, too, the respect for institutions has been deplorable in parts. In nine states, the state electricity regulatory commissions, do not have the full complement of members. It is at the centre where the best practices are shaping up. One of the key achievements of India post liberalisation, for example, has been the building up of scores of regulatory institutions, beginning with the telecom regulator, Telecom Regulatory Authority of India. They have played their part in making India an attractive destination for investment. While governments need to examine all institutions all the time, the reason for changes and the process of change demands a change.